It becomes necessary to attempt to remove all expectations and preconceived notions when arriving into a new region and new producers. There is always going to be some flow-through from the previous region, we naturally compare an experience to the most recent one. Thus on my journey I am constantly having to readjust to each new place I visit and make no assumptions or judgements about such things as production volumes, estate sizes, yields, varieties or practices. What the important (and difficult) thing to ascertain is whether or not the philosophies and subsequent practices are right for that particular place. Whilst the nebbiolo grape is ideal for the elevated and cool hills of Piedmont, it is the sangiovese grape which performs exceptionally in the undulating and warmer landscape of Tuscany. Further to this, nebbiolo is a grape that necessitates small yields and small volumes to produce great wine, as it is notoriously difficult to handle both in the vineyards and in the cellar. Sangiovese needs a careful eye to be sure as it has very high yielding potential, but similar to the syrah grape is quite adaptable to site and you can easily make great wine in more generous volumes. The fact that I am visiting wineries that annually produce approaching one million bottles should therefore not mean they are not great wineries; they just couldn’t be great in Piedmont. After a very restful night and a couple of café lattes with breakfast, I adjourned to the winery of my hosts for the previous night. The Mazzei family have been in Tuscany for over 600 years, and settled in Fonterutoli in 1435, making them one of the oldest wine families in the world. A very old invoice of the family shows the sale of six barrels of ‘Chianti’ wine, which by all accounts the first recorded mention of a wine named by a geographical place as opposed to the proprietor. Rather than spend too much time reflecting on the past, the family has been innovating for the past 50 years, in a number of ways. The first was to purchase land and grow grapes in new areas; within Chianti, in the south-western part of Tuscany in Maremma, and more recently in the very historic but now emerging region of Sicily. They have invested in both viticultural and winemaking in these newer estates, in an effort to best capture the nuances of the site and variety. Vinification is all performed on each of the three estates, but bottling and logistics are all carried out in Fonterutoli. Closer to home the family have been taking a much closer look at each of their terroirs, and isolating the various indigenous strains of sangiovese, in an effort to understand the best expression of both. 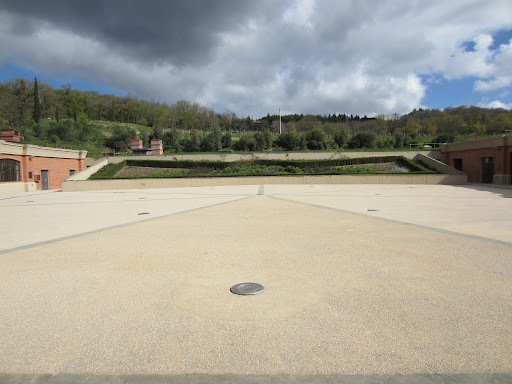 In 2006 they also completed works on a brand new world-class winery at the foot of Fonterutoli hill, using best-practice and gravity to ensure that nothing goes wrong and the best wines can be produced. Considering the volumes they are working with precision and consistency are important, as well as being able to predict how certain things are likely to go. A few years ago I tasted my favourite rosé, which also convinced me that the best grape variety for rosé was sangiovese. The only problem with the wine was that it is produced is such minute quantities that Australia barely gets any, and it sells out far too quickly. Fortunately the producer in question also has a range of red wines that offer outstanding value. When I heard more about the producer I was intrigued to discover more and visit if I could whilst in Chianti. The producer is Poggerino, and compared to most of the other producers I was visiting in Tuscany, miniscule. Piero Conti has been producing wine in Chianti since 1988, and from the beginning was committed to biodynamic viticulture. He took me through the vineyards on his estate where his is repairing and renovating the cellars, and it was a fascinating experience. The most important tenet he carries is to maintain a close relationship with nature, closely monitoring everything it provides (and neglects). He spent a lot of time observing the specific soils of each part of the estate, and not only planted and trellised the varieties differently, but also maintains the parts of the vineyard in different ways. 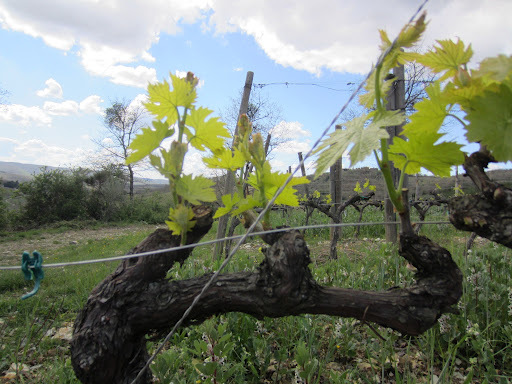 Even within one hectare it is amazing to see the difference, particularly now that bud burst has begun, but has developed differently depending on parcel and elevation. 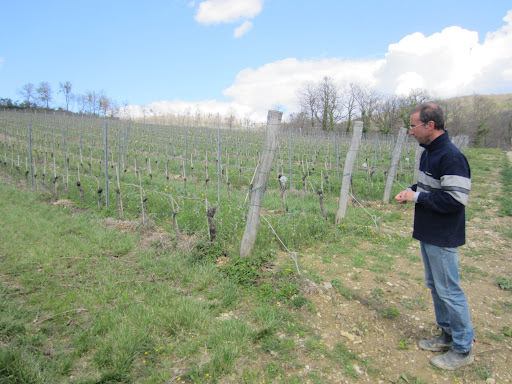 The wines are made quite simply without interference, and Pietro has recently invested in a cement egg for fermentations (the fifth biodynamic producer I have visited that has one). Click here to read my notes from the tasting. The final winery I visited on my second day also happened to be my host for the night. Felsina is situated on the southern border of the Chianti Classico DOCG, and today is possibly one of the most important in the entire region. 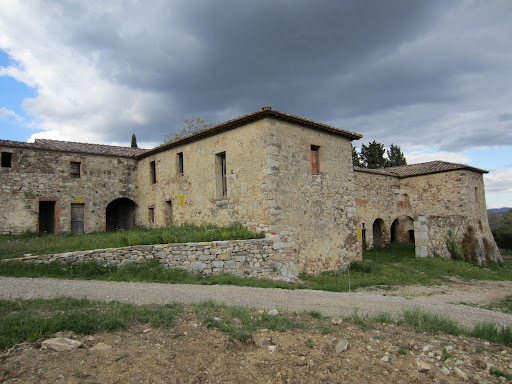 The assets the owners have would make anyone envious, as they have extensive land with vineyards, olive groves and hunting reserves, beautiful historic buildings not only on the outskirts of Castelnuovo della Berargenga but also dotted around the estates, and an extensive and functional winemaking facility. 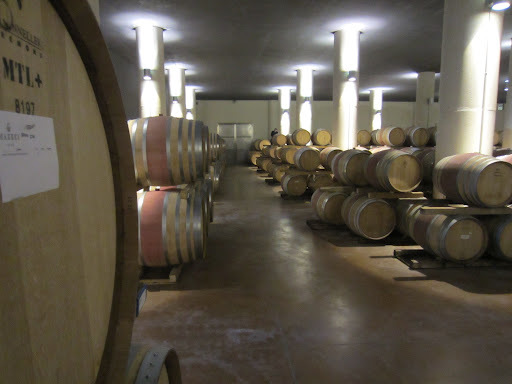 From these assets they produce a modest 900,000 bottles per year, and whilst this may suggest that they are merely a volume producer, most of their wines are in premium categories. How they can manage to consistently produce wines of such high quality in such volumes is exemplary, but also not hard to understand. They keep a very harmonious connection to their land, and biodiversity is very important to not only retain the agricultural history, but also encourage natural and indigenous pest and disease resistance. The amazing thing is to consider how much potential there still is, not only in the wine and olive oil production, but also in terms of tourism, hospitality and agribusiness. As far as the wines are concerned, whilst they are at the upper end of the price spectrum for Chianti they more than deliver in terms of quality. Click here for my notes on the tasting. Click here to see more photos from Day Two in Tuscany, Italy.